By Jessica Jones | 5 years ago Michelle Wood joined forces with builder Ben Coats and designer Neal Stewart to create a sophisticated space in University Park. By Margaux Anbouba, Jessica Jones, and Laura Kostelny | 5 years ago Three Dallas homeowners share their experiences—what they learned and how it can help you. By D Magazine | 5 years ago These 95 locals were voted tops by their peers. By Laura Kostelny | 5 years ago Come away with us to an East Texas getaway built by father-son team Travis and Chad Rohde. By D Magazine | 5 years ago We tested the best products and potions to set your tidying-up plans in motion. By D Magazine | 5 years ago Give these divine diversions a sporting chance. By D Magazine | 5 years ago A look at the latest and greatest stores in the city. 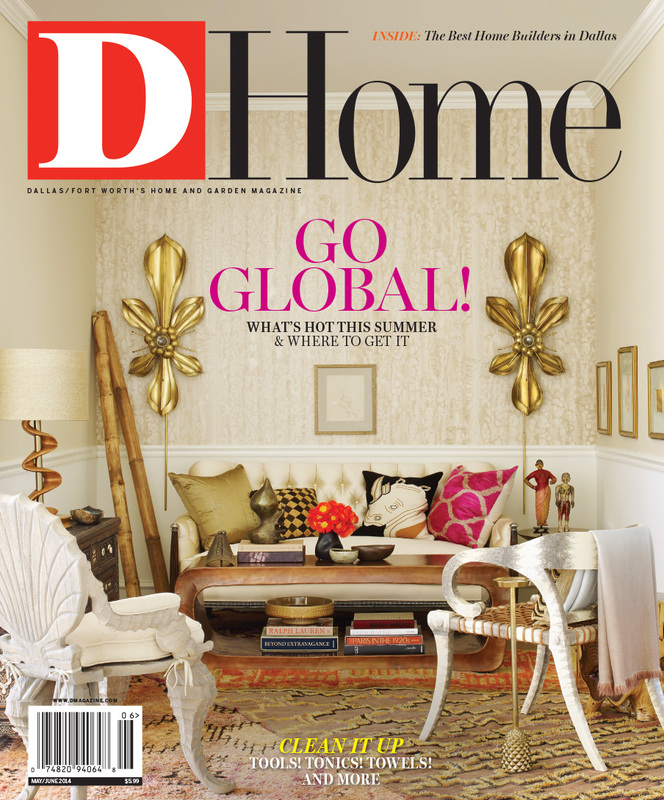 By D Magazine | 5 years ago Don't be overwhelmed by all things overseas. By D Magazine | 5 years ago Which system is the best in our fake bake-off? By Carol Shih | 5 years ago It's the season for Dallas-area farms like Twin Oaks to be awash in indigo. By Leslie F. Halleck | 5 years ago How to develop the right color, shape, and texture for the unsung heroes of your outdoor space. By Margaux Anbouba | 5 years ago When a Dallas couple finally got a chance at parenthood, they created a vibrant and beautiful space for their bundle of joy. By D Magazine | 5 years ago The designer shares the personal history that developed her tastes. By D Magazine | 5 years ago They've been put to the test time and again. By D Magazine | 5 years ago These are worth keeping in your linen closet. By D Magazine | 5 years ago Which gets all the spots out? By D Magazine | 5 years ago Where to go to pass on the unwanted items in your closet. By D Magazine | 5 years ago Up your summer-time entertaining game. Just add water.